Malawi, like many low-and middle-income countries, has a critical shortage of pharmacy personnel. Previously, the government health centers had no trained personnel in this discipline, which led to service delivery challenges due to unqualified staff managing medicines, and medical supplies and dispensing to patients. The Ministry of Health has since set a goal of having a pharmacy assistant in every rural facility. Supported by the USAID Global Health Supply Chain-Procurement and Supply Management (GHSC-PSM) project and implemented by the Malawi Ministry of Health, Malawi College of Health Sciences (MCHS) and VillageReach, the pharmacy assistants training program develops a new cadre of health workers for rural pharmacies in Malawi and addresses the shortage of health care workers in Malawi. 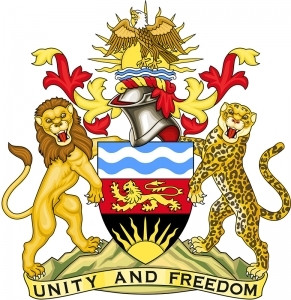 Approximately 270 pharmacy assistants graduated in 2018, of which more than 190 have already been deployed for work across the different health centers throughout Malawi (against the Ministry of Health`s target of 650 by 2020). Chizinga is currently in the final days of finishing her training and says that things have not always been smooth for her in this previously male-dominated field of study. She had attempted to get into the program twice before she was accepted. As a prerequisite, she took a business administration course for a year and a half to gain admittance to pursue her dream career. After graduation, Chizinga says that her preference is to work at a community health center where everyone speaks Chichewa, her first language. She believes that to effectively support the community, it is better to speak their native tongue. Chizinga also believes in ongoing training for all health workers so they continue learning best practices. She hopes to go further in her own education. “Professional development is important for all front-line health care professionals who want to achieve bigger opportunities in life,” says Chizinga. Chizinga encourages women to pursue a career in pharmacy. “More resources should be allocated towards research to find out exactly what is happening and what needs to change to get more women to participate in pharmacy studies.” Another word of advice she has is for women not to focus on barriers, but to do as she did by pursing their dream careers in pharmacy and other fields. 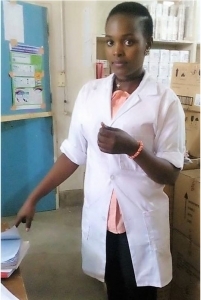 Chizinga underwent the practicum experience in 2017 as part of her training at Mangochi District Hospital in the southern part of Malawi and as part of the USAID-funded GHSC-PSM partnership to support the deployment of qualified personnel to manage medicines, improve the supply chain, and dispense medicines to patients at the health facility level. A comprehensive evaluation is currently underway to assess the benefits derived from over time from having Pharmacy Assistants on site. 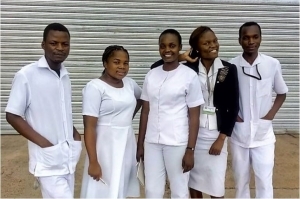 36 students were deployed to health centers for their five-month practicum training and an account of their progress since May 2018 shows significant improvements in key supply chain indicators – e.g Storeroom management improved dramatically from 60% at baseline, before the students arrived at the health centers, to 93% almost 5 months later. Dispensing environment noted significant improvements from 34% at baseline, before students arrived at the health centers, to 69% almost 5 months later[i].